The girl standing in the blush of dawn. Aware of my holiday schedule (which is just to read the books in my never ending TBR list and indulge myself with endless amounts of coffee), my sister decided that maybe it's time I try watching some new anime because I haven't done that for a while. She gave me copies of two anime series, and one of them is Akatasuki no Yona. 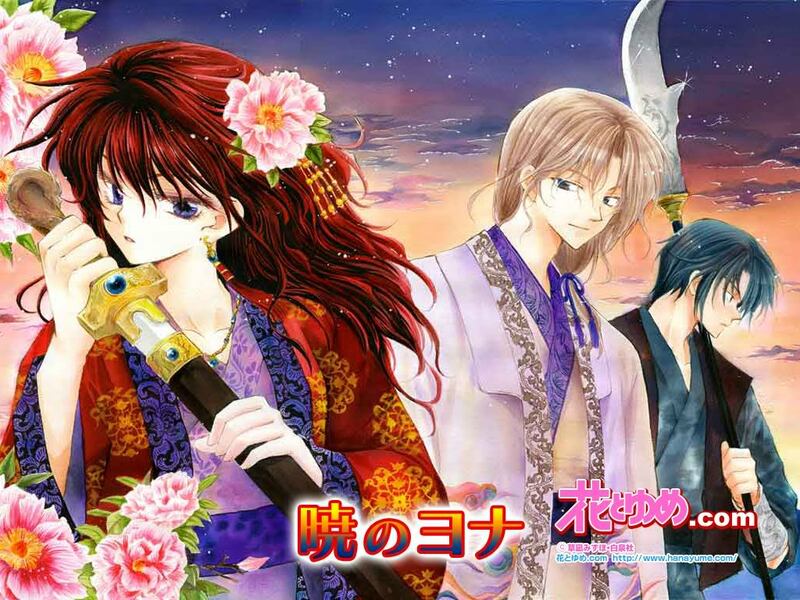 Akatsuki no Yona follows the story of the princess of Kouka Kingdom, Yona, who was exiled from her kingdom after witnessing her childhood love, Soo-won, kill her own father. She has set on a journey with another childhood best friend, and former general of the wind tribe, Hak, to find the four dragons of the legendary King Hiryuu and ask them for help to protect the people she loves. In most historical fiction stories, the female figure is often being the one protected, or the weakest one in the group. In some cases, she's also too revered and respected that every single guy in the anime tries to keep her away from all the violence. That was the case in the first part of this series. Princess Yona, being a princess, was pampered in the most luxurious ways possible. That is exactly why her protection was entrusted to her childhood best friend, Hak, who also happens to be a general of the wind tribe. As the series progresses, Yona finds herself wanting to protect the people around her, especially Hak. It's quite unique for a history set story to have a female protagonist who wants to escape the norm of being protected forever. I like the fact that Yona is empowered in a way that she is empowering herself. The portrayal of a human is real in this anime-- how one starts to change his or her views of life once it is shook. But my favorite character in this story has to be Son Hak. Labeled Thunder Beast of Kouka because of his strength. He is also the General of the Wind Tribe, and Princess Yona's childhood friend and body guard. If you're simply looking for history sprinkled with humor and hints of romance with a not so pitiful female protagonist, this is the anime you're looking for. It's not too late to catch up with this anime because it has still has just 16 episodes released. I'm actually looking forward to the completion of the four dragons and the battle to reclaim Kingdom Kouka.